It is time to log in your Blade and Soul account to see what treasures you can get, including new costumes, rare gems and weapon skins! Hurry up! It ends September 14, 2016. You can buy only one item from the Trove using in-game currency. Do you want to have more choice? 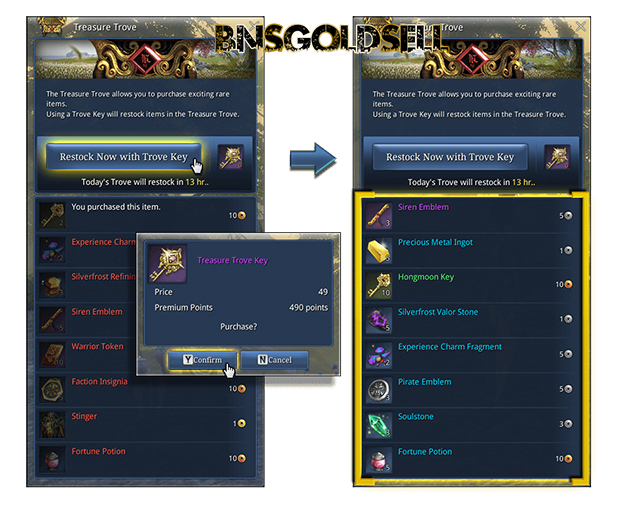 Buy Slot Expansions in the Hongmoon Store for each of your characters to open up more Treasure Trove slots. 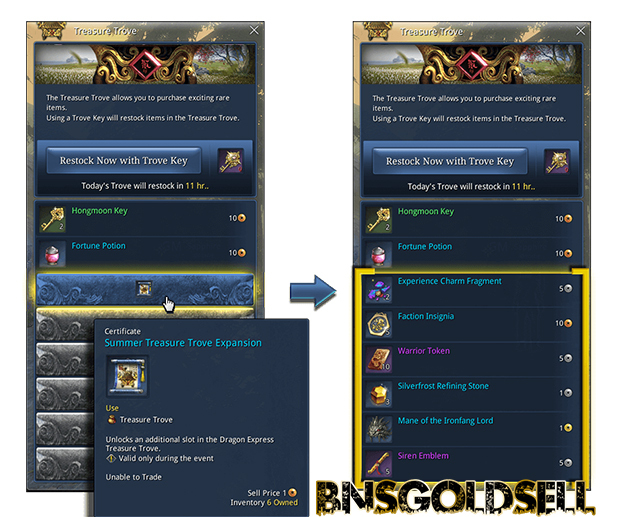 Do you want more chances to see what the Treasure Trove can provide you? 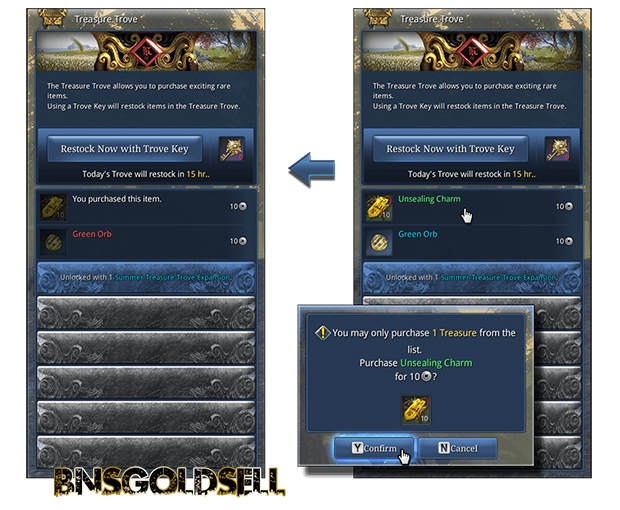 Just buy additional keys in the Hongmonn Store. What’s more, you have a chance to obtain extra rare gems, costumes, materials for upgrading your gear! 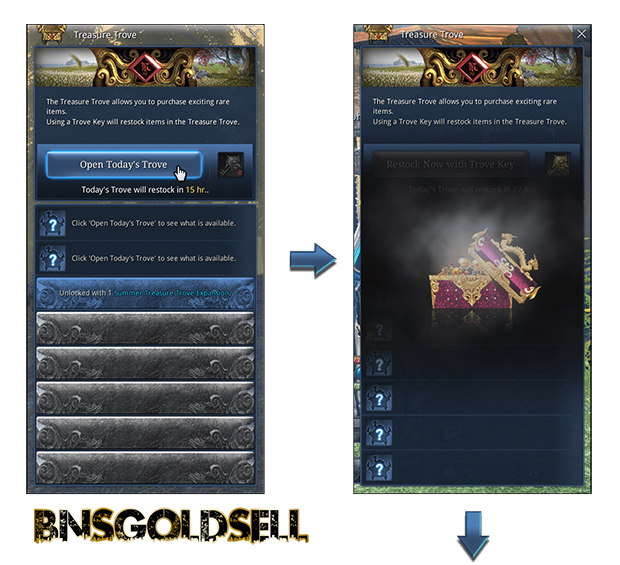 It is cheap to buy Blade and Soul gold from BNSGoldSell!